Mexican avocado exports to the US and beyond are expected to remain strong through the 2018/19 campaign, according to a new US Department of Agriculture (USDA) GAIN report. Production of the fruit in Mexico is forecast at between 1.9m-2m tonnes, with weather conditions said to be optimal, while the implementation of phytosanitary pest control programmes have also help boost volumes. Traders are forecasting that 2018/19 exports will come in at 1m tonnes, driven by high international demand, while the depreciation of the peso versus the dollar is also set to boost global sales. Exports will be at a similar level to 2017/18, when they hit 1m tonnes, and up on the 2016/17 campaign when they came in at 873,963 tonnes. "In general, exports have been increasing due to good international demand and year-round market access to all 50 US states," the report noted. "In addition, exports to Canada, Japan and Europe have increased. 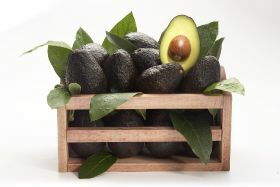 Avocado exports for 2017/18 generated US$2.8bn, whereas in 2016/17 exports generated US$2.5bn." The US is the top export market for Mexico, consuming between 74 and 79 per cent of total shipments. Japan and Canada are key markets, with 6-7 per cent of the Japanese market and 7-8 per cent of the Canadian market.